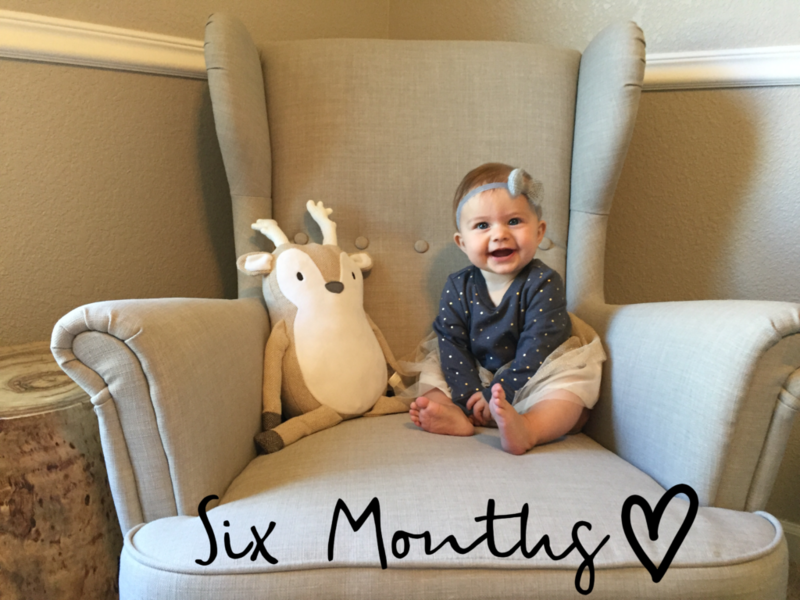 Six Months….half a year, somehow it seems like she just got here and like she has always been here at the same time. 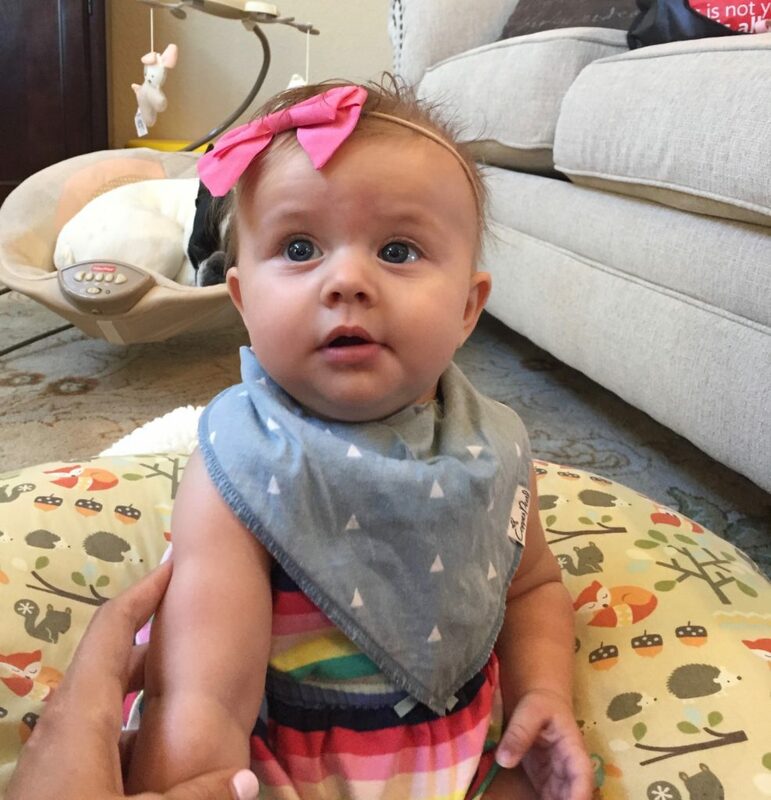 I know I am biased but I think she is the sweetest, best baby ever, Cannon was a fairly easy fun baby but Emmy finds ways to be even easier. At six months Emerald is 27.25 inches long (94% ) and 16 lbs 14 oz (66%) BMI 26%. Emmy is wearing size 3 diapers, and mostly 3-6 months clothes but the pants are often too short so we are starting to transition to 6-9 month clothes. I can’t believe she is SO tall! Emerald continues to nurse and take a bottle like a champ. We are going to do Baby Led Weaning with Emmy like we did with Cannon. Emmy’s overnight sleep is very solid, I do often wake her up early to nurse her before morning workouts but she goes right back to sleep snuggling with her daddy. When we are home she is on a pretty solid 3 nap a day schedule, with the longest nap happening mid day. The length of each nap is still a bit variable so I am looking forward to that becoming more predictable in the coming months. We continue to work on tummy time and sitting with Emmy. She is getting stronger and stronger. Every night she flips onto her tummy and scoots all over her crib. During tummy time she flips and scoots all over, I don’t know how long we have until she is up and crawling. 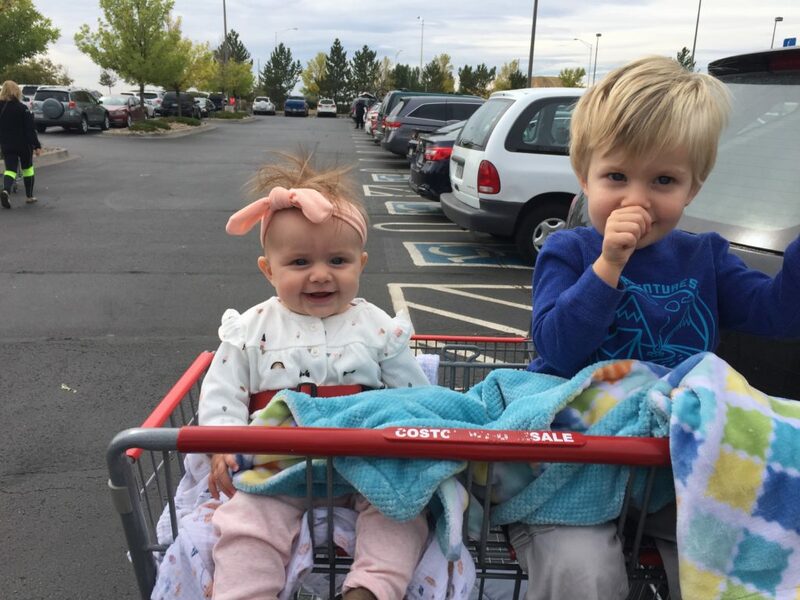 First time sitting in the cart with big brother. Her hair is going through a bit of an awkward phase so we tried out pulling it up. I can’t believe I will being doing little girl hair most days! 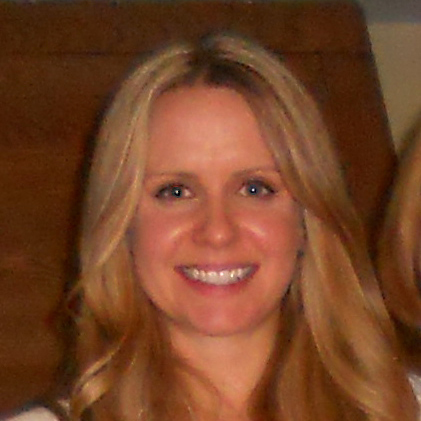 If she isn’t within reach of the boys she is watching them. She loves to give both Cannon and Humphry hugs and kisses. 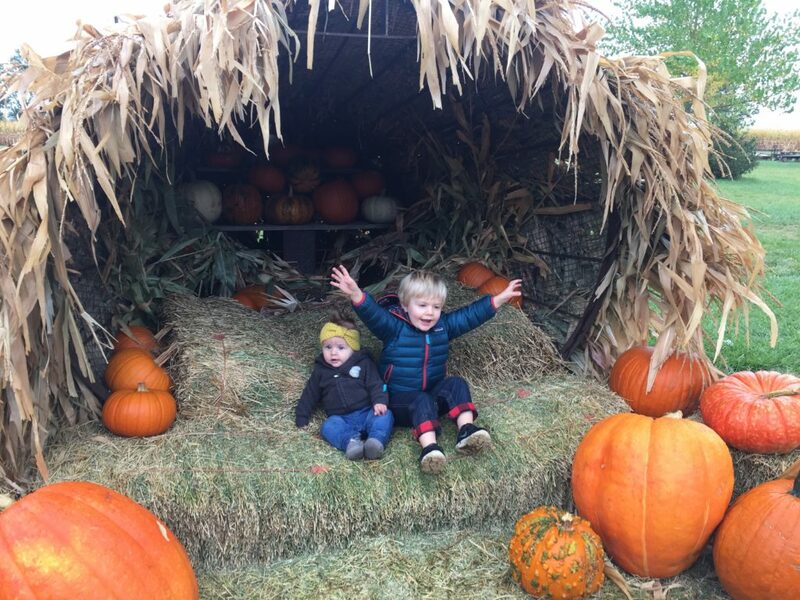 Grandma and Grandpa joined us at the pumpkin patch. Cannon has the best time this year, he really seems to be getting the idea of holidays. Emerald was a champ, hanging out in the rain and picking pumpkins. 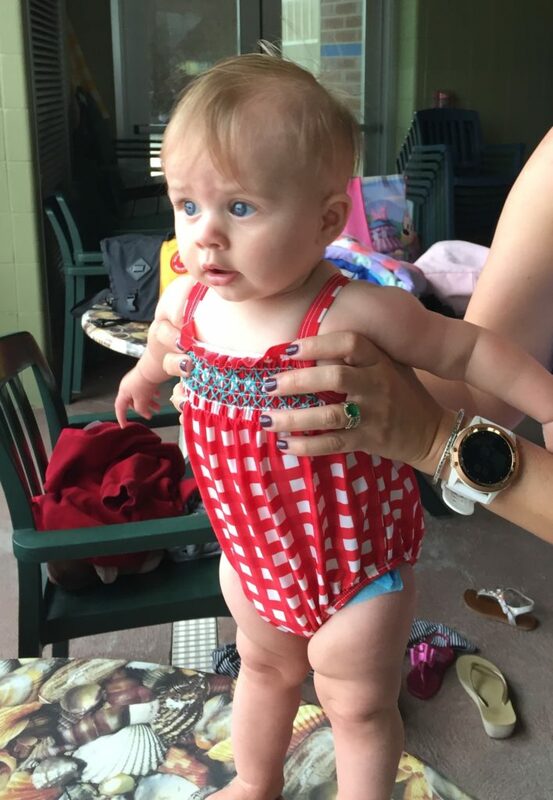 We also took Emmy into the pool for the first time and she really seems to enjoy being in the water. She is always surprised when she splashes herself in the face. Later in the month we got our first flurries of snow. I took Emerald outside to see the snow and was surprised in how much she loved it. 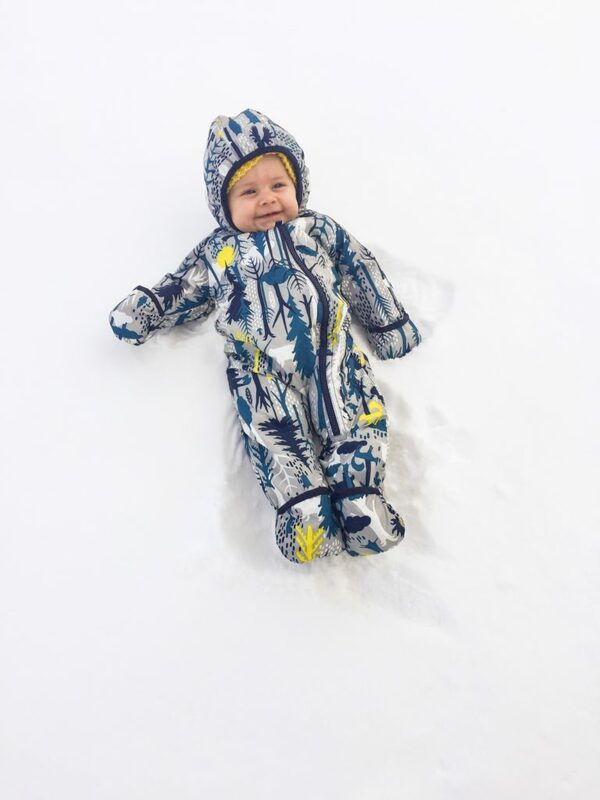 A few days later we got some serious snow and took the kids out to play, Emmy loved every minute! She made snow angels, rode on the sled, and watcher her brother play. This girl continues to surprise me on how amazing she is, I feel so so lucky to be her mama and just want to make her feel how special she is. Week 2 of ultra training is officially in the books! 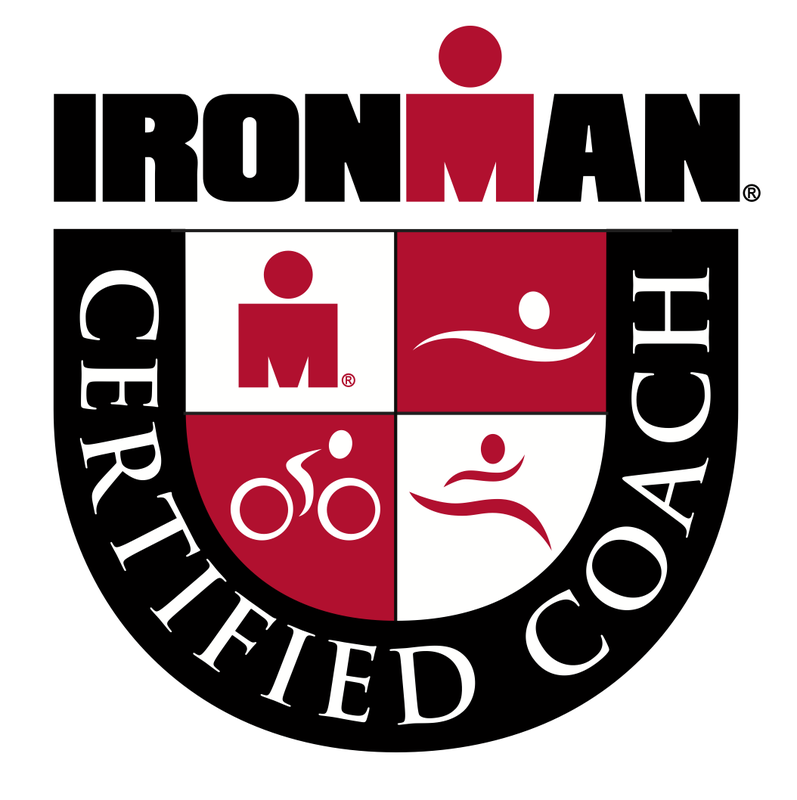 It doesn’t really feel that much like ultra training yet since my miles are still so low, I am hoping to ramp up to 50+ miles per week as we get closer to race day. For now I will take the progress as it comes. My long runs are getting progressively longer and my short runs are getting faster so I can’t complain. I just need to remind myself to keep showing up and eventually we will get there. Monday: Quick strength training session. 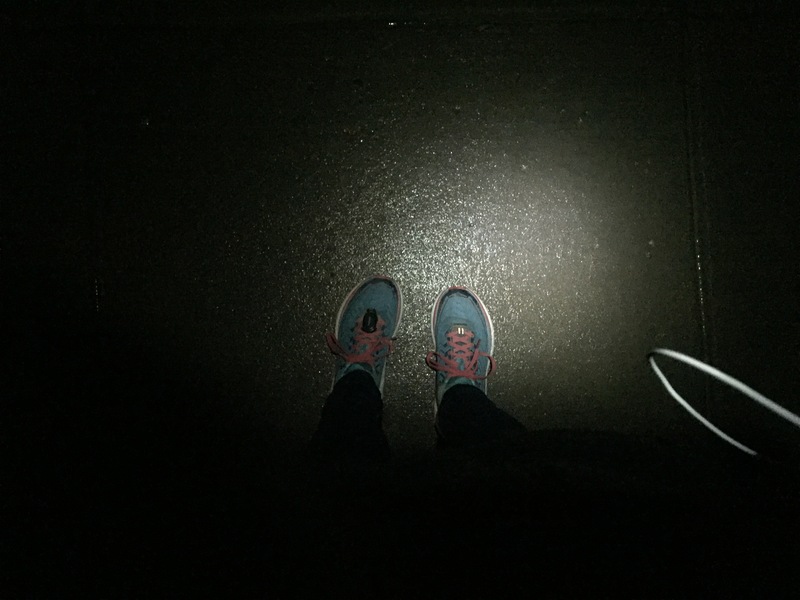 Tuesday: Took myself out in the dark for 5 miles with hill repeats. Lucky for me I live at the top of a hill so it’s not hard to find a good hill to run up and down. I am feeling stronger and stronger on hills and that makes me happy. Early morning miles, brought to you by my headlamp. Wednesday: Rest Day, not really intended but couldn’t pry myself away from a warm bed and a snuggly baby. 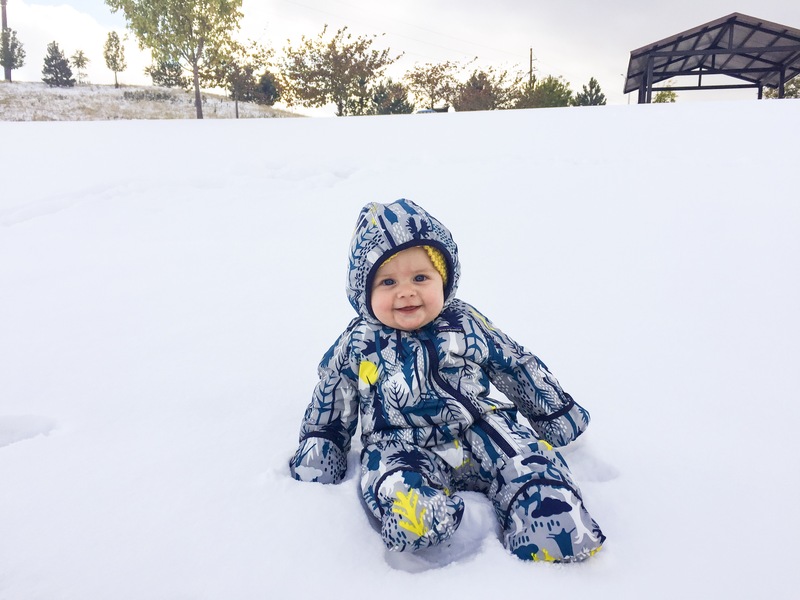 Emmy did enjoy getting out for our first snow of the season. Thursday: Easy 3.5 miles with 5 x 20 sec strides. Although I would always rather be outside I jumped on the treadmill for this one. As the light goes away and the temps drop I will have to make better friends with the treadmill. Friday: Quick strength training and hike with Cannon and Emerald. 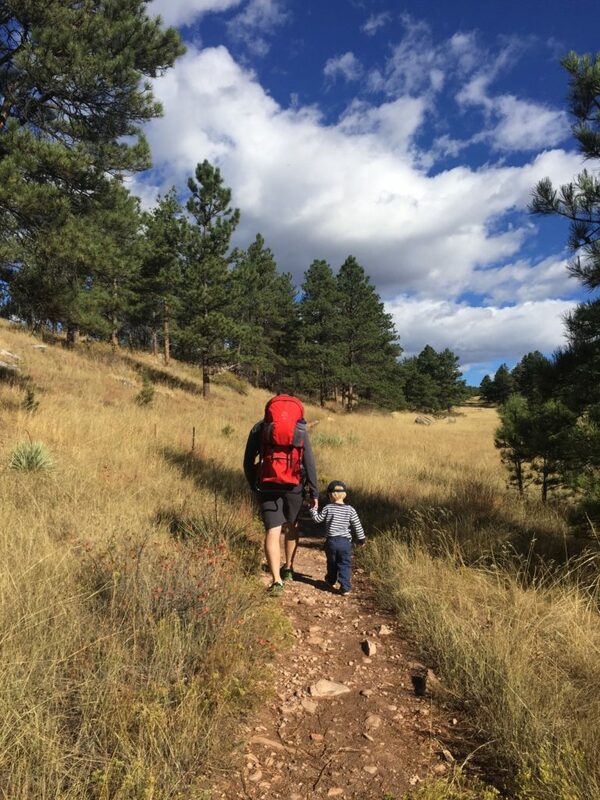 It’s so nice to get out on these sunny fall days, Cannon is getting better and better at hiking. Saturday: We were forecasted to have our first snowstorm roll in early Sunday morning so I moved my long run up so I could enjoy snow free trails. 10 miles on my local route felt good, so much better (and over a minute per mile faster) than last time I ran that same workout! Sunday: I was scheduled to run 5 easy with strides in the last mile so I bundled up and headed out into the snow. I was so cold and a little worried about slipping in the ice and snow so I called it at 4.5 miles with no strides. I guess I wasn’t completely ready for winter running yet. Do you love running in the snow? Here we go…….I finally set my sights on my first race after having Emerald. The Arches Ultra 50k has been on my radar for a while and it seemed like a good race to jump into post baby. I haven’t completely set my 2019 race calendar but Arches feels like a good first step. I will likely be running lower milage than some would training for a 50k as I am easing in post baby. I am pretty excited to have something on the calendar. Monday: Easy 3 miles in the afternoon with Cory and the babies. I am so excited that Cory’s Achilles has healed enough for us to start running together. I am happy for him as he loves running and for our family that we all get to go together. As usual there is park stop so Cannon can play. Tuesday: Up early to run on the treadmill, 6 x 800 repeats to keep things interesting. Who doesn’t love to Netflix and treadmill? 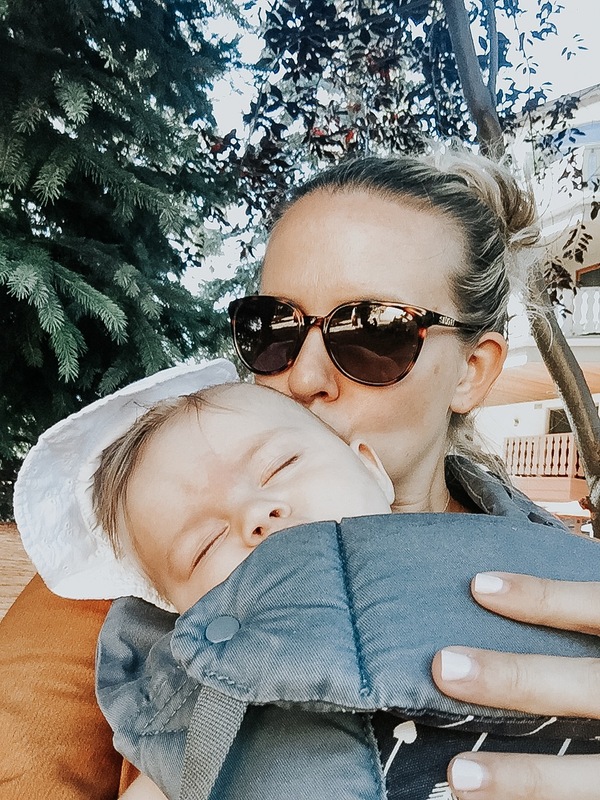 Wednesday: Rest Day, soaking in all the extra baby snuggles. Thursday: Spin class and a quick strength training session. Friday: Cory had the day off and the weather was about to turn so we headed to the foothills in Boulder for a hike. Cannon did a great job, he hiked/ran over half of our hike. 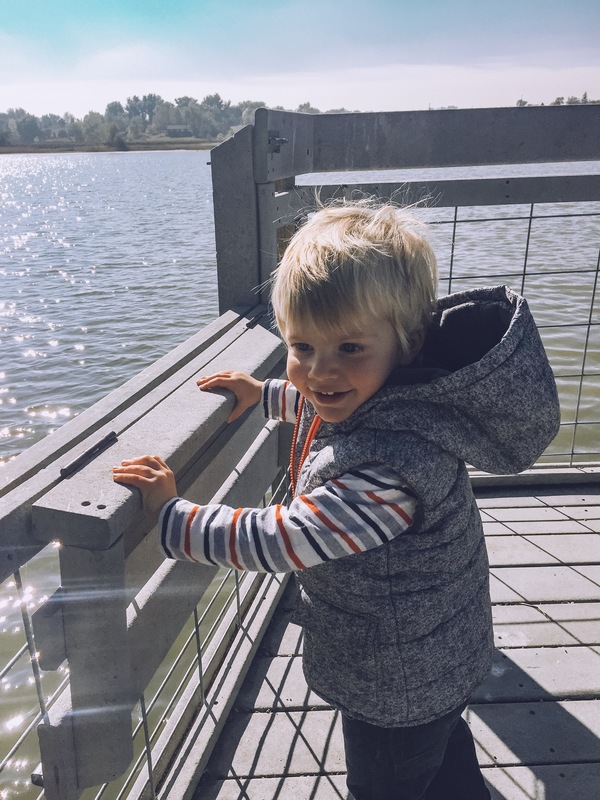 He is growing up so fast it makes me weepy. After naps, we took the kids out for an afternoon run, Cory is still limiting his distance so he took the kids home after 3 miles, I added an extra 1.3 miles with strides. Saturday: Five solo miles in the morning, ended the last mile with 5 x 20 seconds strides. Sunday: Again out early for an easy 8 miles. Things are still slow and building up conservatively but I ran this same route a month ago about a minute per mile slower so I am happy to see progress. My plan is to not worry too much about paces or comparisons to where I used to be, I just want to keep showing up, giving what I have and seeing where I end up. 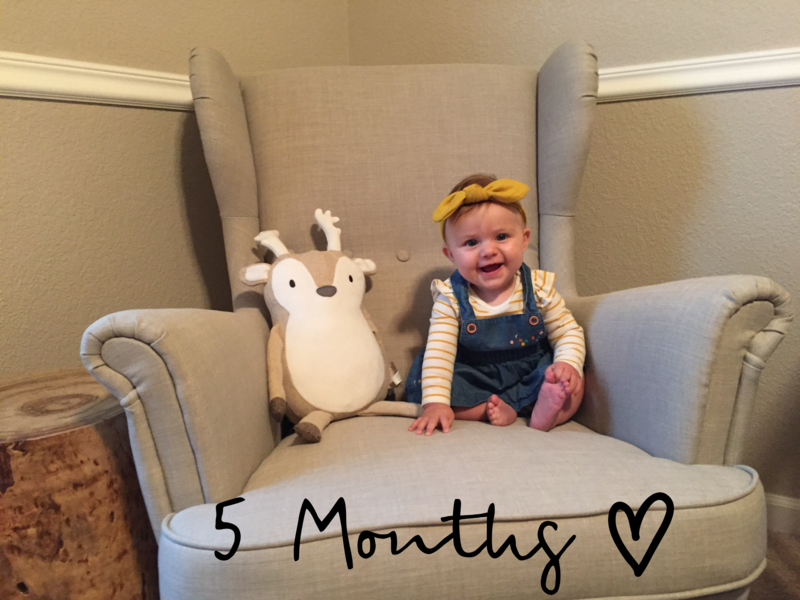 How did we possibly get to 5 months already with this sweet girl?!? Time is flying even faster this time around and I just wish it would all slow down. 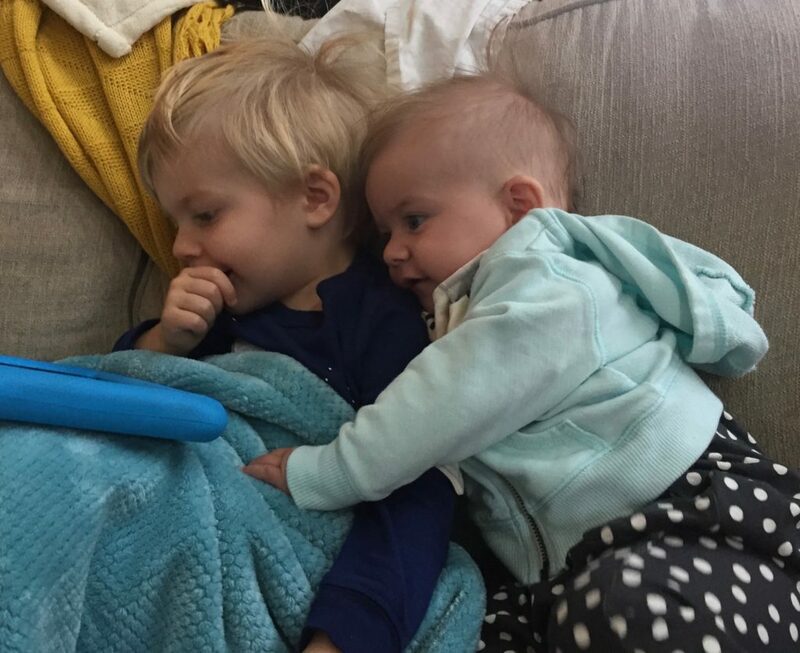 5 months seems so much older, 3 and 4 months still seemed like a really new baby but 5 months seems like we will be crashing into 1 year and toddler time too soon. At five months Emerald is 26.3 inches long (84% ) and 16 lbs 5 oz (66%). These measurements were taken almost two weeks late so she was a bit smaller at exactly 5 months. Same as previous months Emmy is mostly breast fed, with one bottle of formula a day. The biggest change is that I went back to work this month. 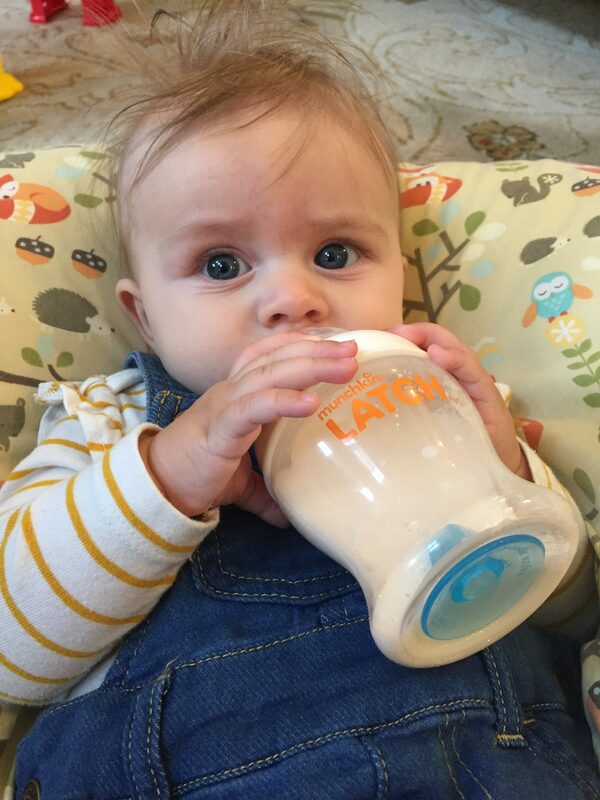 Emmy spends most of the day with her grandparents and is starting to take a bottle better. There is nothing glamorous about this photo. Just a girl huddling under a swaddle in the only pumping room on campus, between classes, desperately hoping the lock on the door really does work. Emerald’s sleep patters are getting better and better. 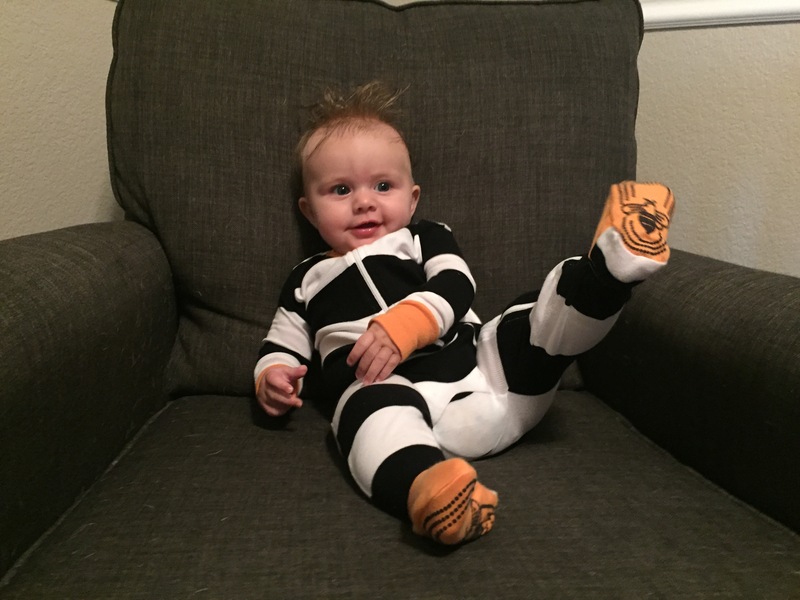 Early in the month we had a bit of a regression due to Emmy getting her first cold, so she woke up multiple times overnight for a few days but she was quickly back to rocking 10-11 hours straight. Her napping has seen great improvement as well, she naps in her room when we are home and is mostly on the 3 nap a day schedule. Naps are still kinda short but her mid-day nap can be an hour plus so I am not complaining! Emerald has also been working a lot on sitting up, she can balance on her own for about 5 seconds so we are making progress. 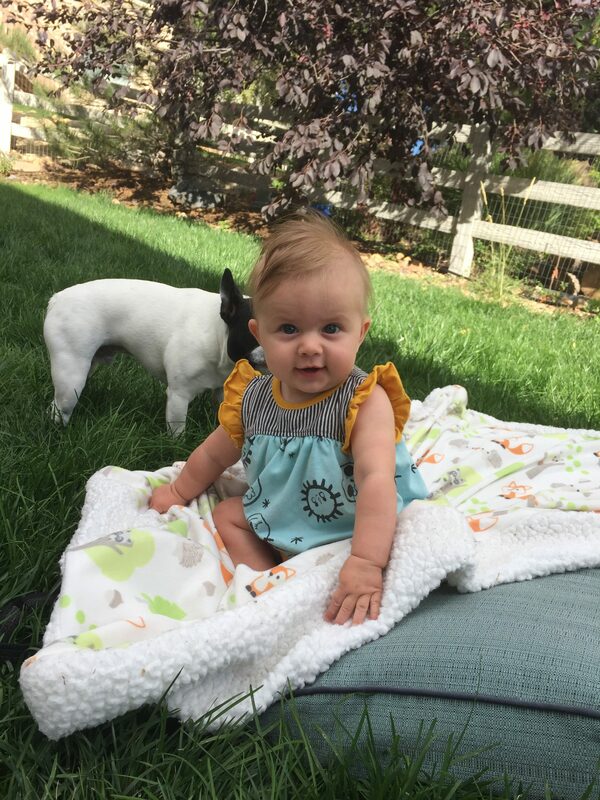 She is also doing great at tummy time and assisted standing. All worries about her vision have been alleviated as she has been reaching and grabbing objects like an expert. Even though this month meant back to work there was still a lot of fun too. 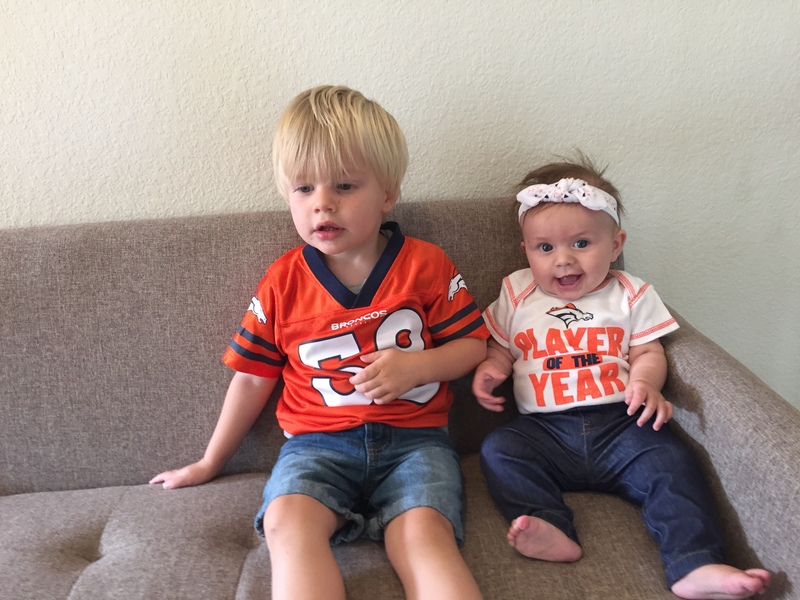 Emmy has been enjoying watching Broncos games with her brother. We got to take both kiddos to Vail for Oktoberfest. We all had a blast, I still can’t believe how well Emmy travels and is happy to just hang out with us wherever and sleep in the carrier. I marvel all the time how sweet this girl is and how much I love her. She is light and joy and sweetness. It has been the best time getting to know her personality more and more.